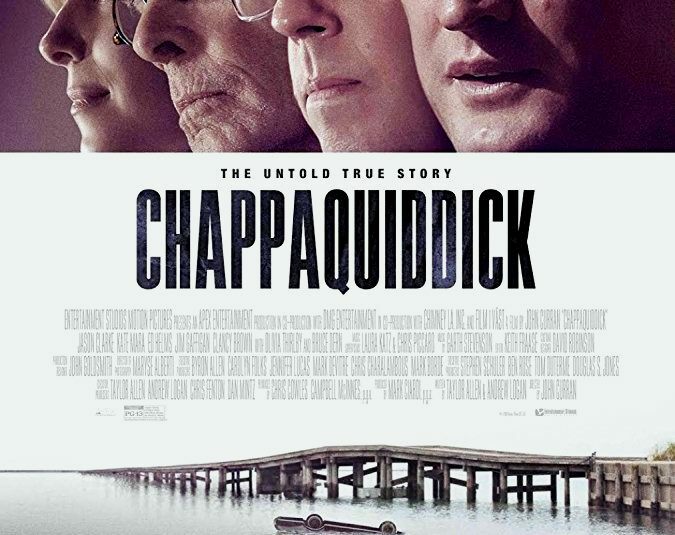 I went in hoping that it would amount to some minor footnote that might dabble with an interesting point or two, but knew a quarter through that Chappaquiddick is the kind of essential film that is much better than expectations and that gets underrated. There have been many tragic stories on the Kennedy dynasty, and this one dives into a key chapter in Ted Kennedy’s life. Ted is judged by many as their least favorite Kennedy (and no wonder). 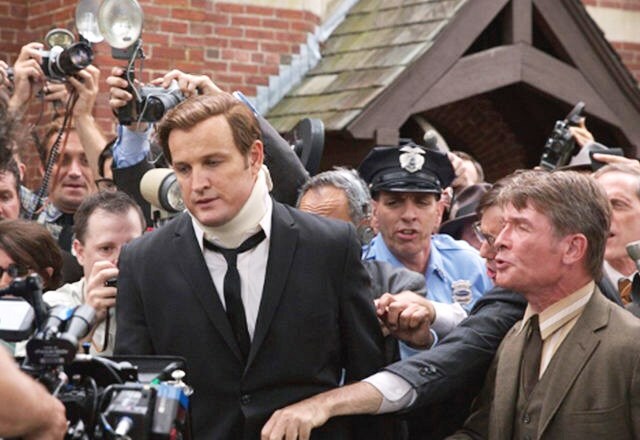 Ted (Jason Clarke, who aces every mannerism and flaw of this man) was a 37-year old Senator from Massachusetts, who while on vacation in Martha’s Vineyard drove drunk over a bridge with no guard rails, with the car turning upside down in the water. Ted escapes, but bumbles about as he tries to free Mary Jo Kopechne (Kate Mara), a former secretary of his brother Robert who was assassinated a year earlier, and whom had just been looking for a ride home. “I’m not going to be president,” he laments. This is the story of a political figure who tries to come up with every angle he can to remove himself from ruin. He consults with his cousin and advisers before calling the police. He later learns, Mary Jo didn’t die on impact and eventually drowned. She could have been saved if somebody had reached her – she was still breathing the air pockets of the car until it had completely flooded. Ted contemplates his resignation the next day, but not before speaking to his stroke-addled father (Bruce Dern) to ask what he thinks. What his father thinks of him is of the utmost importance. Ultimately, though, Ted is always just thinking about himself. A team of advisers, Secretary of Defense Robert McNamara (Clancy Brown) among them, brainstorm ideas of how they’re going to handle the public statement. They correctly presume that the Apollo 11 moon landing will mostly dominate the weekend news, and that this tragic accident could get marginalized. Another damage control tactic is to have Mary Jo’s body sent back to her parents immediately for her funeral and dodge the autopsy. The movie stays truthful to the very end (and let’s credit Clarke with being wormy and austere to nuanced perfection), with Ted delivering a pivotal statement on the news that will exonerate or obliterate his reputation with the American public. It’s supposed to be a sorrowful apology, but what’s really going on is edge of your seat political gamesmanship that’s happening between entitled politician and hopefully wide cast gullible supporter. SPOILER ALERT: There is some archival footage of real Americans reacting to the news, and notwithstanding one guy who gets it, the sum of them are naïve and eat it whole. Ted got away with manslaughter, he got to live up a fruitful career, and it’s only because he was a member of the 1%. Film Cousins: “JFK” (1991); “Thirteen Days” (2000); “Bobby” (2006); “Jackie” (2016).